Below you will find horse property currently for sale in Bend, Oregon. These horse property real estate listings are updated daily from the Multiple Listing Service of Central Oregon. If you would like more information on any of these horse properties for sale, just click the "Request Information" button on the listing of the home for sale. 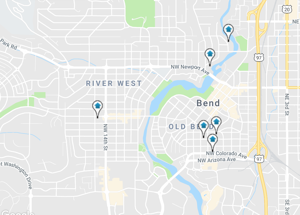 We will be glad to provide you with any information you are looking for including but not limited to, plat maps, taxes, CC&Rs, seller disclosures, market analysis and any information on Bend Oregon homes for sale. And, if you haven't already, be sure to resister for a free account so you can receive email alerts when new horse properties come on the market in Bend, Oregon or when there is a price reduction. Some neighborhoods will not have any homes currently for sale.